Plastic Soup News: Hey waiter, this fish tastes like plastic! New UC Davis study finds significant amount of synthetic clothing fibers in fish caught off Northern California and sold at markets for public consumption. A significant amount of synthetic clothing fibers have been found inside fish caught off the Northern California coast and ending up on local dinner plates, according to a new study by environmental scientists at UC Davis. 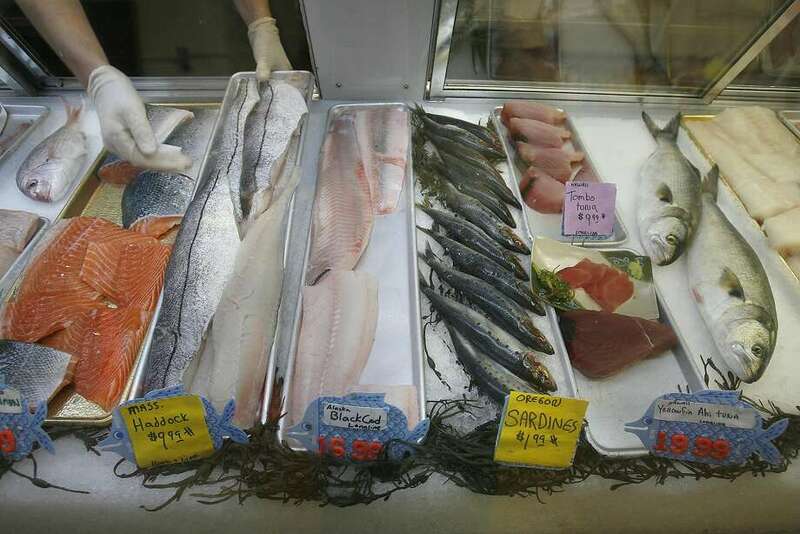 About a quarter of the 64 fish purchased at fish markets in Half Moon Bay and Princeton and analyzed for the study turned out to have bits of synthetic clothing in their guts, said lead researcher Chelsea Rochman, of the UC Davis School of Veterinary Medicine. The study, published Thursday in the journal of Scientific Reports, came on the heels of research by the San Francisco Estuary Institute that found the surface of San Francisco Bay to be heavily contaminated with plastic microbeads from cosmetics and plastic fibers from clothing. Inadequate filtering by home laundry users and sewage treatment plants is suspected of being the source of the contamination, Rochman said. “This shows we have a waste management problem that is coming back to haunt us,” Rochman said. Plastic fibers, Rochman said, were only one of many contaminants that get inside fish and were probably less hazardous than mercury, PCBs and other known fish contaminants. The scientists also analyzed fish purchased at a market in Indonesia and found that they were contaminated with plasic debris fragments but not with synthetic fibers. A study released Wednesday by the San Francisco Estuary Insitute found that the San Francisco Bay is hundreds of times more contaminated than the Great Lakes with small plastic particles from cosmetics and synthetic clothing. The report also found the small microbeads and other pollutants are gobbled up by fish, whose guts contain far more of the toxic stuff than their fellow Great Lakes fish. In January, researchers took water samples from different spots in San Francisco Bay and analyzed the results. They found that the waters of the South Bay contained 2.6 million microplastic particles of 5 millimeters or smaller per square mile, compared with 285,000 in Lake Erie, 13,000 in Lake Superior and 7,800 in Lake Huron. The two studies were released shortly after the California legislature passed a bill to regulate microplastics in cosmetics. That bill is awaiting action by the governor.